Sold by Ornem and ships from Amazon Fulfillment. 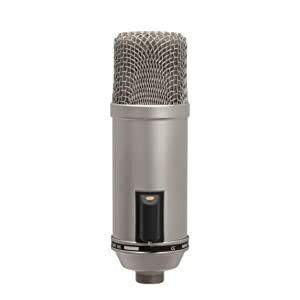 Recording quality condenser microphone for broadcasting applications. Features 1" externally biased condenser transducers, high-pass filter, and a unique "ON-AIR" LED indicator. 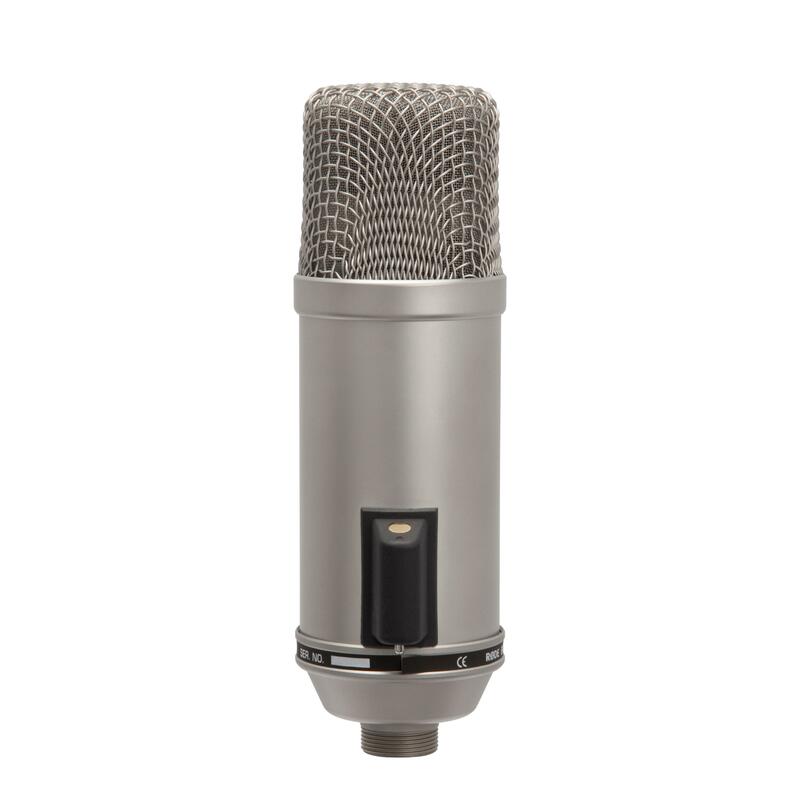 The R˜DE Broadcaster Microphone was specifically designed for on-air applications where wide frequency response and low distortion are demanded. The R˜DE Broadcaster mic was the winner of the Radio World/US National Association of Broadcasters (NAB) 'What's Cool' award in 1998. 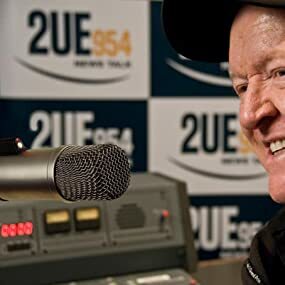 Utilizing an Australian designed and manufactured R˜DE 1" externally biased condenser transducers, the Broadcaster microphone features a switchable high pass filter to remove low frequency rumble. 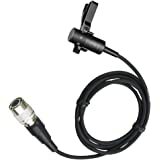 A unique 'ON-AIR' LED indicator can be switched on or off by shorting contacts on the 5-pin audio connector. This feature allows console operators to warn the talent that the mic is live. Requires phantom power. 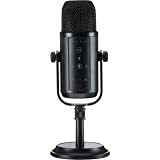 Disclaimer: I didn't purchase this mic to produce audio books, so please forgive my nasily sounding voiceover test ;-) On to the review. 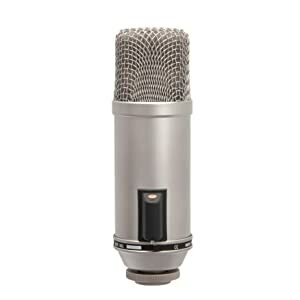 The audio clarity and meatiness of this microphone produces a wonderfully smooth and natural sound with just enough crisp high end clarity without being too "essy", allowing for live broadcasting while reducing (or totally eliminating) the need for on-the-fly EQ-ing, which makes this mic a top choice for podcasting. 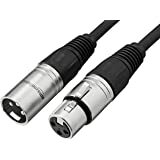 The Low-Cut Switch is set to 75hz for those with naturally deep vocals, or for broadcasting environments with excessive ambient low frequency spill. The build quality is also excellent, with a really solid, hefty metal construction. 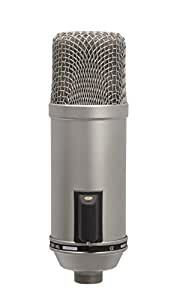 This microphone absolutely blows a lot of other much more expensive brands out of the water! 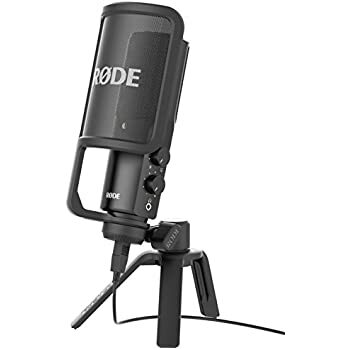 There are plenty of great video reviews of the Rode Broadcaster available on YouTube that will give you great side-by-side comparisons with other competitive and popular models. 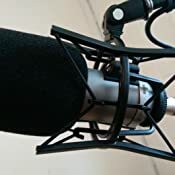 After a metric ton of exhausting, internet-scouring, investigative digging, I finally came up with what I consider to be the best shockmount solution for the Rode Broadcaster microphone. 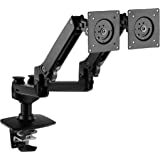 There is not one single compatible shockmount on the global market that is either made for the Broadcaster or that will properly accommodate it right out of the box. 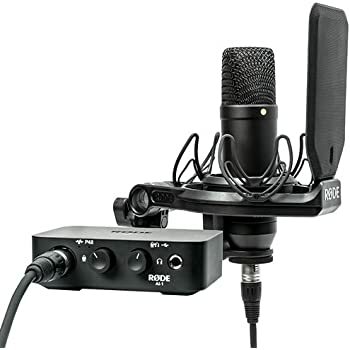 This includes the Rode SM2 shockmount which the Broadcaster will fit (albeit a tight one because it's not designed for it), but provides poor access to the Low-Cut Switch that protrudes from the rear of the mic. 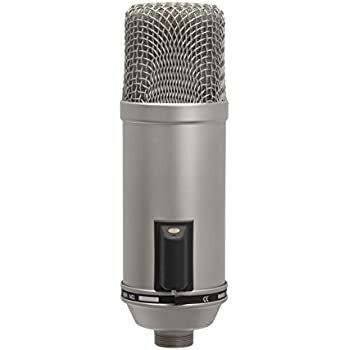 This is the perfect mic. 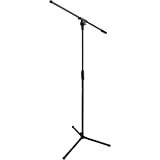 Only one caveat--it is really heavy and if you buy the $100 Rode scissor stand, its great. If you try the $10 cheapies, you will then end up buying the other one anyway, so just save yourself some hassle and get the good one first. Also, it does require phantom power, so keep that in mind when figuring out what to connect it to. The Blue Icicle is a good choice to connect directly to a computer by USB--but if you do this, be prepared to read the review section for tips to make the thing work with windows, because installing the driver is not straightforward. I love this mic, though. It has a built in plosive resistance device and low-pass all but eliminates background noise. This is the best mic I've ever used to eliminate background noise, in fact. Its amazing. 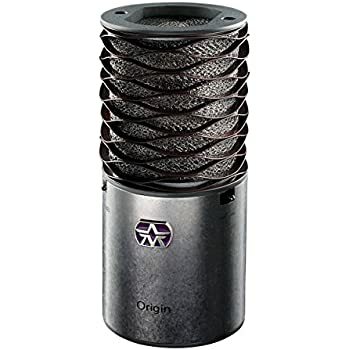 If you spend a grand, you might get an AKG with very slightly better treble, but those are noise magnets that are completely impractical outside a soundproofed room. 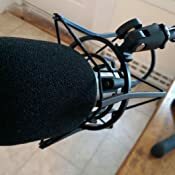 One thing I recommend is that you don't assume the worst if the plosives seem overwhelming regardless of how far your mouth is from the mic. 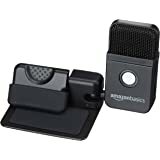 All you have to do is speak into it diagnally, and the plosives are gone with no degradation in sound quality--and its actually better that way because it puts it out of your face a bit. I use it for everything voicewise--even skype. I can't say enough good about it. In fact, its actually completely changed my perspective of my own voice. 5.0 out of 5 starsTakes your Audio to the next level! Microphone was everything I expected and more. 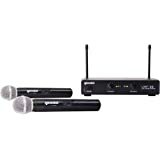 Crisp clean sound and professional level guaranteed. You will need 48V phantom power to get it working but once you do be prepared to be blown away. 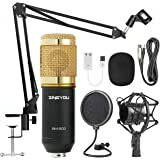 Sure the price is higher than many competitors but the sensitivity is great, feels like a thousand bucks in quality, and sounds like your on any mainstream radio station. 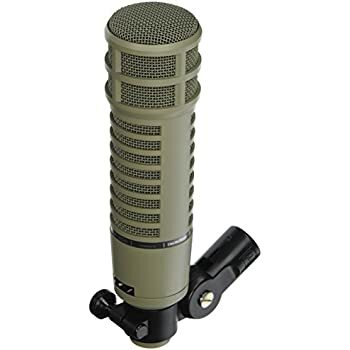 The mic is also extremely quiet at blocking out unwanted outside noises for a condenser like seriously as quiet as a dynamic mic. 10 year warranty is the cherry on top. Thank you Rode for this great product it will surely take my YouTube channel up a notch! 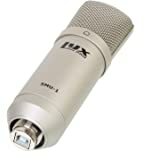 To those of you contemplating just deal with the extra price it dominates most other mics in this price range! 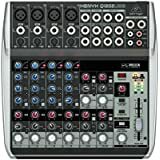 I bought it almost two years ago, and recently the sound quality had tanked, producing a very muffled sound. Rode support was fantastic, and they let me know that by registering, the warranty would be extended to 10 years (!!). I returned the failed unit and received a brand new unit as a replacement, only expecting to get the exact same mic back after it was repaired. Excellent product, great service, I was only out the cost or return shipping for the repair, so I'm very happy. 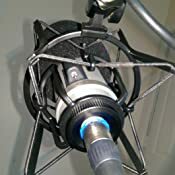 5.0 out of 5 starsDope mic. 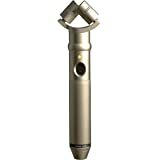 I absolutely love this mic! Sounds great, rejects a decent amount of background noise (this doesn't excuse a bad recording environment, however), and has a pretty useful high-pass filter. 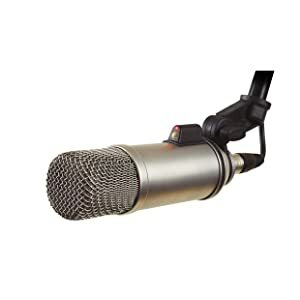 I'm not sure why Amazon gives this mic an average of 3 and a half stars when 80% of the ratings are 5 stars. I just figured I would write this to counter act that. Wow! 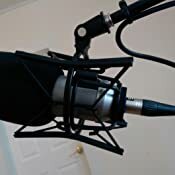 My voice sounds so good with this mic. 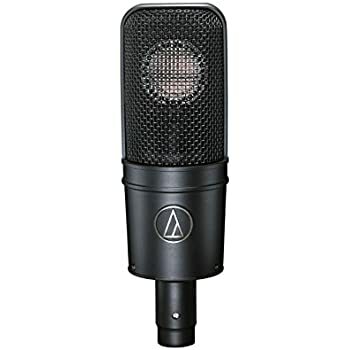 I use it for VO work using Logic via the Apollo Twin. Absolutely in love with this microphone. Warm, crisp and real. RODE knows what they’re doing!